In dense environments, finding a place to park can be nerve-wracking. And it gets worse if you’re forced to fit in or get out of tight spaces. 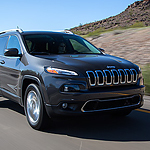 Fortunately, the Jeep Cherokee comes with standard and optional safety features to make parking easier. These features are known as ParkView and ParkSense. Hitting the road in Huntsville for vacation should bring you lots of joy. Inconvenient and unexpected vehicle breakdowns can happen to anyone. 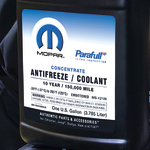 Fortunately, Mopar Vehicle Protection offers two suitable benefits. If you're stranded, Mopar’s $100 Towing Allowance/Roadside Assistance can quickly get you back on the road. Just sign, and the Mopar team starts working to replace a flat tire with your spare tire, help you get back into your locked car, or to jump-start an ailing battery. Mopar will even help tow your vehicle. If you are looking for a vehicle that is designed to do its job, then the Ram ProMaster at Team Dodge is the type of vehicle that is actually designed for work. 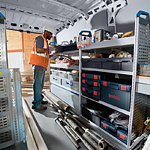 The Ram ProMaster is also a very trustworthy vehicle because it carries out what it was designed to do. One of the features that are actually the most important for a driver is the lighting feature. 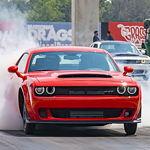 Manufacturers and professionals at Team Dodge understand the importance of lighting. Therefore, we choose vehicles such as the Jeep Wrangler for the lighting it offers its drivers which bring a bit of style to it. 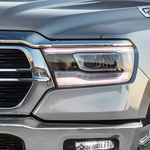 The Dodge Durango is an impressive mid-size SUV that boasts some serious power on the roads. Its power does not come at the expense of a gas-guzzling car. You get respectable fuel economy and plenty of horsepower to boot with the Durango in Huntsville. For Huntsville drivers in the market for a light-duty pickup truck, the new Ram 1500 is a superb option. Not only is it practical and reliable, but it offers some fantastic exterior features too. 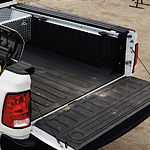 Whether you're hauling heavy cargo for work or want to tow recreational gear for a weekend getaway, the Ram 2500 has you covered. 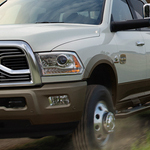 This popular heavy-duty pickup truck is available at Team Dodge. Drivers in Huntsville can get it with one of three different engines to fit their needs. If you are shopping for a new truck, then you probably are concerned with the different powertrain options that a vehicle can provide. When it comes to the current model of the Ram 3500, this is a vehicle that you can't really beat during this model year. The Jeep Grand Cherokee is a popular model every year at Team Dodge because it is reliable and comes with a plethora of features, such as capability features that provide drivers with outstanding performance. You can read about a few of its capability features below. 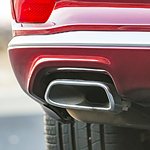 The Jeep Grand Cherokee comes equipped with four available engines. The standard engine it a 3.6L Pentastar V6 engine that can reach 295 horsepower and 260 lb.-ft. of torque, and it comes with Fuel Saver Technology. 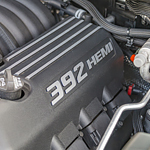 The 5.7L HEMI V8 engine can reach 360 horsepower and 390 lb.-ft. of torque.